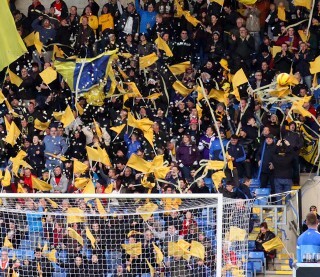 OxVox is delighted to confirm that the listing of the Kassam Stadium as an Asset of Community Value (ACV), originally secured in May 2013, has been renewed for a further period of five years by Oxford City Council. The effect of this is that OxVox must be informed if the Kassam Stadium is put up for sale, or a bid is received, by the stadium owners Firoka. The listing, obtained under the Localism Act of 2011, gives OxVox, in the event of a bid being made by another party, a period of six weeks to declare an intention to bid and six months to make a competing offer. The listing also ensures that OxVox, and United fans, have early notice of any development which may affect the ownership of the stadium, giving the supporters’ trust time to examine any plans and to ensure transparency in any ownership discussions. In 2013 OxVox, under previous chairman Mark Sennett, was the first trust in the country to secure listing of a football ground as a community asset, and in 2018 we are pleased to be, we believe, the first to renew, with the present committee under chairman Colin Barson completing the work begun under previous chairman and vice chairman Jem Faulkner and Simon Bradbury.